In addition to the ZenFone 4 series being officially launched by ASUS Philippines on August 19, the Taiwanese smartphone maker also revealed its two iconic and most celebrated brand ambassadors for the latest ZenFone 4 line-up - Korean star Gong Yoo for Asia Pacific region and our very own Bea Alonzo for the Philippines. 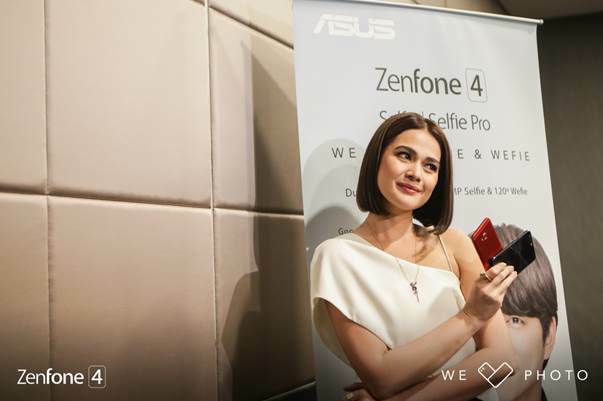 Shortly following the local ZenFone 4 launch at SMX Convention Center in Pasay on the 19th of August, Bea Alonzo gave her fans a hint on what they will anticipate from her first venture into online films. Then a couple of days ago, ASUS Philippines through its Facebook page officially released the first episode of "Never Let Me Forget" starring Bea Alonzo and Czech sweetheart Matej Loub. This mini film is a two-episode online short plays on the idea of how fleeting yet delicate moments, when caught and treasured properly, allows the renewal of all kinds of relationships. It is also light and heart-warming story of healing found in wll-cherished memories, through the happiness that lie beneath the surface. Never Let Me Forget is an artistic telling of Alette and Matej's tale, previous sweethearts who decided to part ways because of thei very different worlds, and how the all kinds of moments shared in-between them help the would-have-been couple to endure and eventually rekindle. Actress Bea Alonzo, who is rightly crowned as the Movie Queen of her Generation, played the role of female lead named Alette, along side Matej Loub, a Czech sweetheart who is currently based in the Philippines, who portrayed a unique role of himself. The very first episode of the Never Let Me Forget mini online series was launched on September 1 on ASUS PH's Facebook page. I embedded the video below for you to watch. We don't know yet as to when the second episode will be released. If you haven't, you may follow ASUS Philippines on their social media account to get future updates on their products as well as the release of the other Never Let Me Forget series.